The Windmill Pub is a small, friendly local with good service, offering real ale. 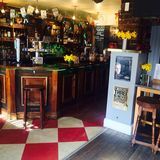 This pub has a homely feel to it and anyone who walks through the door is made to feel welcome. They serve a range of pub food that will suit any palate. 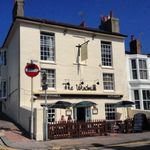 "The Windmill is a cozy family friendly pub just a stone throw away from the center of Brighton. 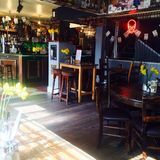 The Windmill is a cozy family friendly pub just a stone throw away from the center of Brighton. Boasting a South facing Sun Terrace that catches the sun (When it’s out) all day long! Inside, the venue welcomes you with its warm open fire and artistic décor. A fantastic menu with evolving Specials is available daily until 10pm. Also available alongside our Famous Sunday Roasts. We are very dog friendly and even have doggy roasts available! All produce is sourced locally and organically. Monday – FREE Chilli Night from 7pm. Wednesdays - “The Vinyl Frontier” featuring “Placebo’s” Steve Forrest. Thursdays – “The Windmill Unplugged”. The finest acoustic acts around. Friday - “TGIF”, The weekend has begun! Saturday – “Sugar Soul Saturdays” All the hits taking you though till 2am. Sunday- “The Windmill Pub Quiz” - £1 Entry with great PRIZES!!! 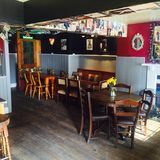 Private rooms available for Conferences and Party bookings. Table Bookings available on request. Call us on 01273 202475 for inquiries." Boasting a south facing sun trap that catches the rays all day long!!! Really cosy, always makes me feel welcome when I'm here. My boyfriend's a fan of this place too. Used to be really good pub. Now bit dingy, bar staff have changed and lost a couple of really good girls who ran the bar. Half the tables were reserved when we last went. Table tickets showed what time you could sit there to! Its a back street boozer for heavens sake. Food good and well worth a visit Thursday for music otherwise don't bother. You must be joking? This venue is neither cosy or welcoming, obviously a fan of someone that cant be bothered to walk further down the road. The venue & atmosphere Although only a stone’s throw, The Windmill could be a million miles away from the hubbub of Western Avenue. There's ample seating outside on benches and indoors the low ceiling gives it a cosy atmosphere. The pub, which has been on this site 1832, attracts a very mixed crowd reflecting the demographic of Brighton itself—and the staff are friendly. The place to start a night on the town in, or just to while away a Sunday afternoon. The drink & atmosphere Good quality food is served between midday and 10pm. Foster’s, Kronenbourg, Strongbow, Guinness and Adnam’s Broadside all on tap. The last word A comfortable pub which makes you feel instantly at home with its mixed clientele in terms of age and background.